Mystique is an exclusive hideaway in a natural world that perfectly lends itself to wider exploration, offering guests a tantalizing insight into the captivating island of Santorini and its unique traditions, romance and wild beauty. Masterfully combining elegance, tradition, high-end service, authentic local experiences, world-class culinary experiences with unique Santorini flavors and, above all, relaxation. In a stunning and legendary location, offering uninterrupted views to the cobalt waters of the Caldera, placed 18km from Santorini airport and 20km from Athinios port. 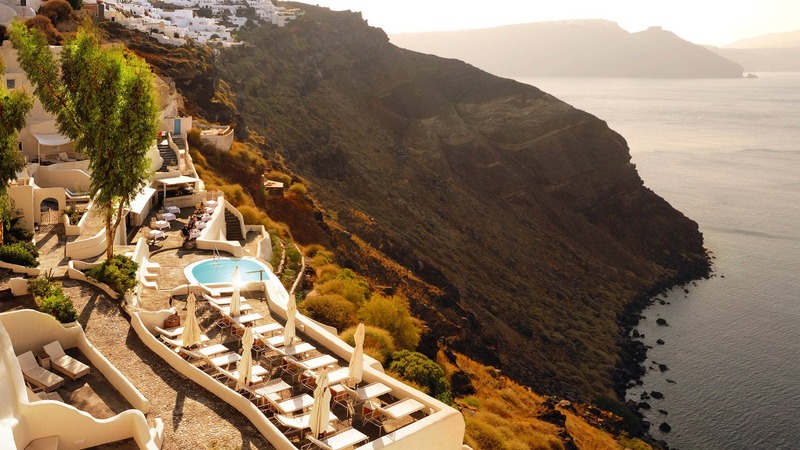 Sample rare wines in the 150-year-old Secret Wine Cave or dine on exquisite cuisine with Greek influences at Charisma restaurant right on the cliff edge, as the sun dips into the sea. In this culinary paradise, exciting flavors arise from unique combinations of the freshest ingredients. Mystique provides individual journeys ranging from traditional to fusion cuisines.